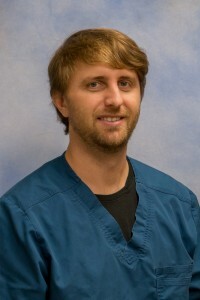 Dr. Richardson grew up in Kosciusko Mississippi and graduated from Kosciusko High school. He attended Holmes CC and Mississippi College where he graduated with a degree in biology. He earned his medical degree at the University of Mississippi Medical Center. After medical school he completed a pediatrics residency at the University of Arkansas. He has been selected as a member of the Gold Humanism Honor Society, HEADWAE Scholar and USA Today Academic All-American Team. He is board certified by the American Board of Pediatrics and a member of the American Academy of Pediatrics. Dr. Breck joined premier medical group in 2012 and has been practicing as a pediatrician since that time, seeing patients from birth through 21 years old. He sees plenty of patients for their wellness visits and management of chronic conditions but the majority of his appointment slots are used for same-day acute care. He usually takes one week out of the summer to serve as the camp doctor at Twin Lakes Camp in Florence MS.
Dr. Richardson and his wife Laura live in Kosciusko with their sons Jack and Parker, and daughters Ann Harper and Karis. He is a deacon and a Sunday school teacher at First Baptist Church Kosciusko. In his free time he enjoys spending time with friends and family, traveling, watching football, and playing basketball.